Home / AZ Courts / Get Involved! Ensuring justice for all is a community effort. Courts, prosecutors, law enforcement and community groups all play a very active and direct role in the judicial process. Did you know that there are hundreds of opportunities for you to get involved? Whether you serve as an advocate for an abused or neglected child or serve on a Foster Care Review Board, you could make a profound difference. We also have many opportunities to serve on advisory committees and commissions. 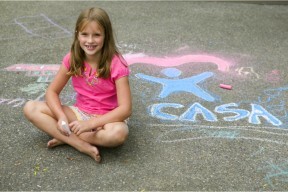 CASA was established to help protect abandoned, abused, and neglected children. 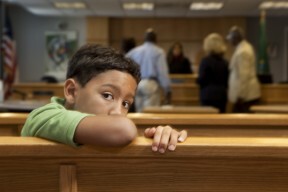 CASAs are trained volunteers who donate their time to help the court system and determine what is best for the children who have come under the court's care. Read volunteer stories here and learn how your time can change the life of a child for the better. Volunteer now. FCRBs advise the juvenile court on progress toward achieving a permanent home for a child or children involved in a dependency action and in an out-of-home placement. The well-being of these children is the highest concern to board members. Request a volunteer packet here. AmeriCorps is a National Service Program where qualified individuals can serve their local community in need,earn a modest stipend and be qualified for an Educational Award. Adult Probation Support Services (APSS) AmeriCorps Members are placed within County Adult Probation Departments across the state of Arizona to provide essential support to Probation Officers and staff to enhance critical services, supporting programmatic expansion and capacity. 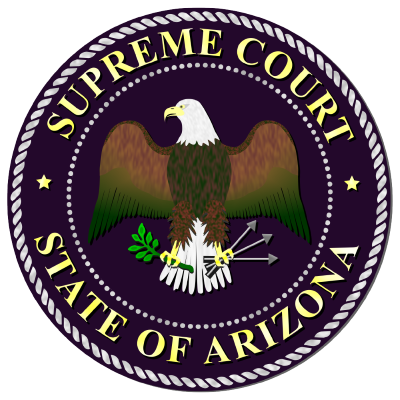 Arizona Supreme Court committees are composed of appointed judicial staff and public members who are responsible for making recommendations on issues affecting the court system statewide and advising the Supreme Court on those issues. View all committees & commissions here. The State Bar of Arizona lists numerous opportunities for Arizona attorneys to give back to their communities through pro bono work. The rules of the Arizona Supreme Court allow out-of-state or retired attorneys to perform legal work as a volunteer, as long as that work is performed through an approved, non-profit legal service organization. Click here for the list of approved organizations.